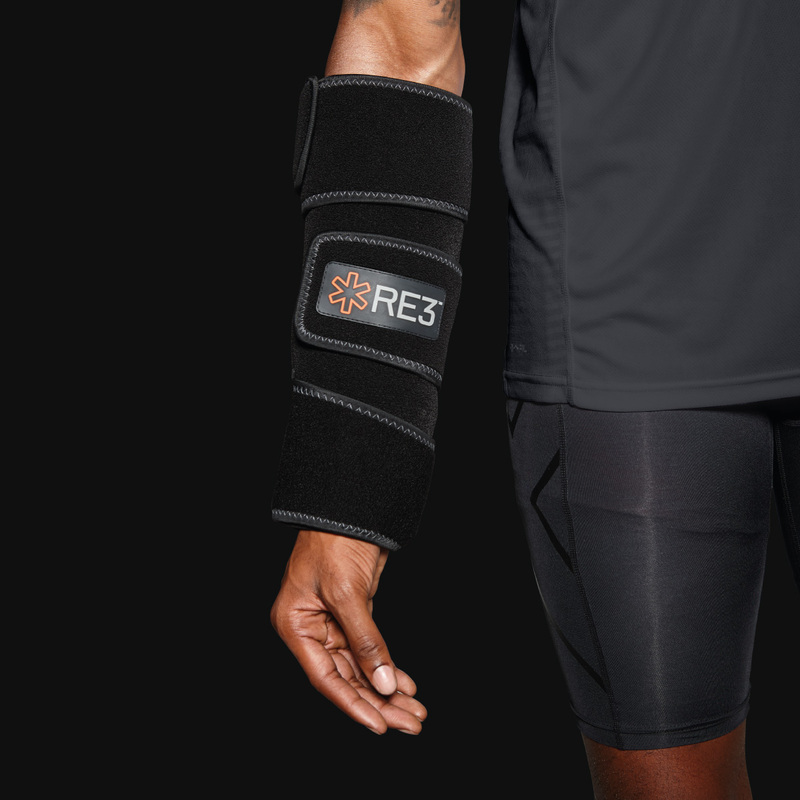 RE3 is the world’s most advanced ice compression system. It uses cryotherapy technology to target the most common sporting injuries obtained by professional and amateur athletes. The RE3 Ice Compression Pack consists of a compression brace, ice core blanket, and a travel case. 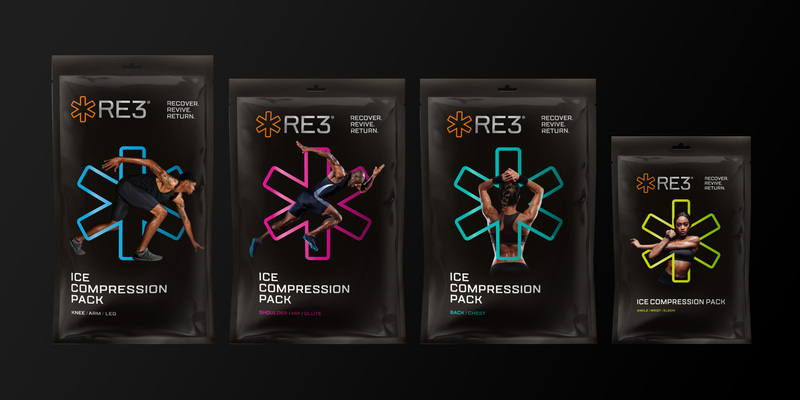 The RE3 Ice Compression System was developed out of the frustration with the existing icing options available on the market. The options for athletes were subpar, consisting of low-quality ice packs from the pharmacy that don’t stay cold for long, over-priced reusable icing bags that require having access to ice, or the basic home remedy of leaking ice in a plastic bag. RE3 has an incredible point of difference and an objectively superior product to anything else on the market. Its patented technology allows the pack to stay cold out of the freezer for up to eight hours. For athletes and fitness addicts dealing with injuries, this will be a life-changing invention. The brief was to create a brand strategy, develop a distinctive and iconic brand, help drive awareness and sales, and ultimately, create loyalty to the brand. The development of a brand icon was a critical strategy to help build instant brand recognition and deliver the ‘cool factor’. From this, the orange asterisk was born. We developed a bold visual language consisting of iconic, vibrant coloured graphics that interact with powerful imagery of elite athletes emerging out of black. 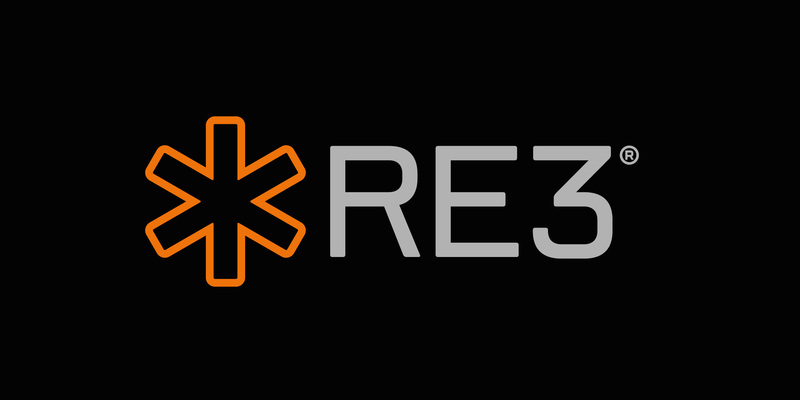 The visual language works stunningly across the RE3 product, website, and social media. The packaging design is an absolute stand out in the category, from its form to its surface graphics.